​Saint Mary's College in Moraga, California accepts most applicants each year, with a high acceptance rate of 80 percent, although applicants tend to have strong academic records. Students interested in applying to the school will need to submit an application (the school accepts the Common Application; more on that below), high school transcripts, a letter of recommendation, SAT or ACT scores, and a personal essay. Check out Saint Mary's website for more information on how to apply. 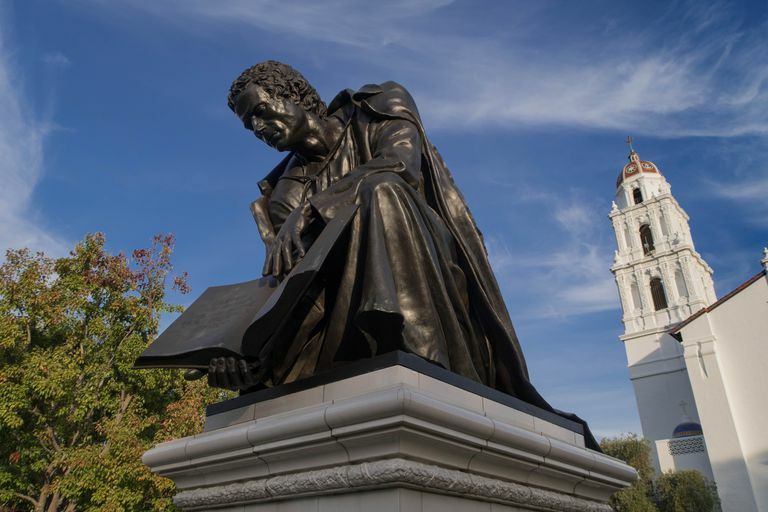 Saint Mary's College of California is a Catholic, Lasallian, liberal arts college located in Moraga, California, about 20 miles east of San Francisco. The college has an 11 to 1 student/faculty ratio and an average class size of 20. Students can choose from 38 majors, and among undergraduates, business is the most popular program. Specifically, the most popular majors are Accounting, Business Administration, Communication Studies, Drama, English, Liberal Studies, Psychology. One of the defining features of the Saint Mary's curriculum is the Collegiate Seminar, a series of four courses that focus on the major works of Western civilization. All students, including those in pre-professional fields, take these seminars—two in the first year, and two more before graduation. In athletics, the Saint Mary's Gaels compete in the NCAA Division I West Coast Conference.